As the gig economy becomes the new norm, it’s upending the workforce and the way we work. Technology is leading the transformation and causing a continual need for skilling, reskilling and upskilling, particularly for those who comprise the gig economy -- freelancers, independent contractors and professionals, consultants, side giggers and more. 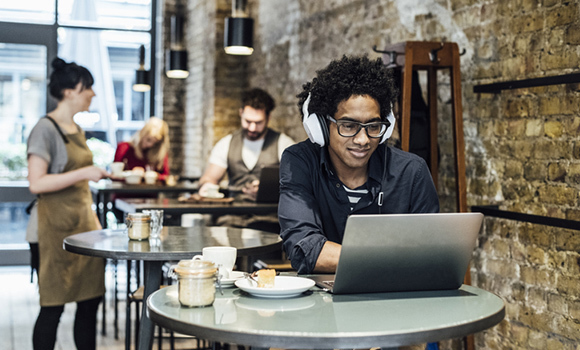 According to “Freelancing in America: 2018,” a study from Upwork and the Freelancers Union, 70 percent of full-time freelancers participated in skills training in the past six months, compared to 49 percent of full-time non-freelancers. And platforms like Lyft have begun offering education benefits. When it comes to the gig economy, what is the role of higher education and community colleges in particular? Two years ago I took my advisory board, comprised of industry, college and labor leaders, on a visit to Silicon Valley where the gig economy was thriving and startups were being built around it. We were aware that the number of independent workers had proliferated, but were surprised to discover during a tour at Upwork that large enterprises, and not just small businesses, were leveraging the platform to source workers. Between 2017 and 2018, 28 percent of Fortune 500 companies used the Upwork platform to find designers, marketing staff, IT specialists and other knowledge workers. Today, there are an estimated 56.7 million freelancers in America according to the fifth annual “Freelancing in America: 2018” study. And the Intuit 2020 Report projects that by 2020, 43 percent of the workforce will be made up of freelancers or independent contractors. These freelancers are playing a critical role in the nation’s overall economy. According to MBO Partners State of Independence in America 2018, independent workers contribute more than $1.3 trillion annually to the economy, more than 6.7 percent of U.S. GDP. In my role at the helm of the workforce mission of the California Community Colleges, my insight then was realizing that these gig platforms had the potential to change the point of entry into full-time work. During our tour, Upwork reported that it had 300 full-time employees and 700 independent workers. Taking that ratio into consideration, it seemed possible that in the future, graduates would freelance and do gig work before gaining full-time employment. Another insight from the Silicon Valley visit was that the gig economy held different hiring norms than the traditional workplace. Instead of workers competing based on their degrees, employers looked at online reputations, competency based credentials, and work portfolios. But what if you didn’t have an online reputation yet? I wondered how you would go about getting one and if you’d be left out of the growing gig economy without one? Those insights were my impetus for seeding a 20-college challenge in the California Community Colleges’ system to demystify the pathway into the gig economy and prepare students to become freelancers and independent contractors. The result was the Self-Employment Pathways in the Gig Economy certificate program, led by College of the Canyons. It was so well received by colleges that 24 jumped in to participate, beyond the goal of 20. The program covers small business fundamentals from legal structures and self-employment taxes (because freelancers are essentially business owners); self-employment options using online platforms; and an experiential, work-study component where students work one-on-one with a mentor and earn credit for working in their own business while developing an online portfolio. There’s much more to be done as gig work becomes increasingly commonplace for workers. Lack of portable benefits like health care and retirement systems top the list, but that’s just the beginning. In light of future automation, how can we move workers from platforms where their skills are less differentiated, such as drivers, to being more differentiated, in order to stand out in the global marketplace? And how does higher education help tackle some of these issues? I think it starts by coming together with public, private and civic leaders to discuss the issues and the challenges, which is what we’ll be doing at the 2018 California Economic Summit. Perfect timing. See you there. Van Ton-Quinlivan is an Executive in Residence at the Institute for the Future and the Executive Vice Chancellor of Workforce and Digital Futures at California Community Colleges. Follow her at @WorkforceVan and on Medium.